Dr. Chris and Dr. Matt are passionate about making a difference in people’s lives, and they just can’t leave their work at the office! The Miller Staff volunteer at TMOM every two years. 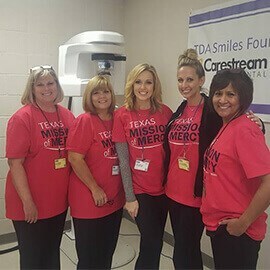 Texas Dental Mission of Mercy is a mobile dental clinic that travels around Texas providing free basic dental care to Texans with limited resources or access to care. Dr. Chris also leads a Dental Mission to Veracruz, Mexico every year with his church, Woodcreek Church in Richardson, Texas. They provide dental care to those in need and share the gospel. 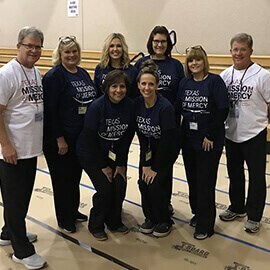 Dr. Matt is involved with Serving Him though Prestonwood Baptist Church in Plano, Texas. He also missions to Romania when he can to provide dental care to those who otherwise would not have access to it.